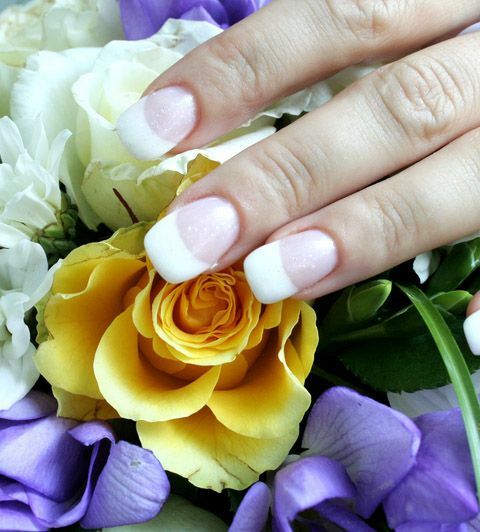 The bride in this wedding picture has classic French nails with thick white tips. It’s simple and elegant. Her nails are styled so the white nail polish starts at the edge of the nail bed. Other French Manicures have shorter white tips, but this is very beautiful, too.